As part of attempts to restore service to Tiverton and Little Compton, RIPTA is looking into strategies to connect that service to SRTA in Fall River. STATE HOUSE – Four state senators and representatives from Aquidneck Island have sent a letter to the Rhode Island Congressional delegation, requesting their assistance in allowing the Rhode Island Public Transit Authority (RIPTA) to receive a waiver of insurance for interstate travel between Rhode Island and Massachusetts. Representatives John G. Edwards (D-Dist. 70, Portsmouth, Tiverton) and Dennis M. Canario (D-Dist. 71, Portsmouth, Little Compton, Tiverton), as well as Senators Christopher S. Ottiano (R-Dist. 11, Portsmouth, Bristol) and Walter S. Felag Jr. (D-Dist. 10, Warren, Bristol, Tiverton), have been engaging in discussions with RIPTA for the past year with the hope that the authority will return service to Tiverton. Currently in discussion is a proposal to create a more profitable route that could connect to a Massachusetts bus line in Fall River, which RIPTA officials say requires a waiver at the federal level. The legislators advocating for Tiverton to Fall River RIPTA service may be reasonably representing area constituents but it is hard to see that as a real RIPTA priority. People moving to Tiverton/Little Compton (which once had lightly used service to Providence) cannot expect much bus service in such areas just as Providence residents can’t expect much in the way of state parks and management areas. Perhaps the Fall River bus system could be extended to North Tiverton if there is any market, and if the MBTA commuter rail ever comes down from Boston to Fall River, it could well be extended along existing tracks/right-of-way to No. Tiverton. But that it is cost prohibitive for Ripta to cross state lines should be addressed. Certainly the MBTA and GATRA (Greater Attleboro transit) have done so. I would suggest if this is done, a priority for RIPTA in MA might be to serve the So. Attelboro commuter rail, and connect Woonsocket to the MBTA commuter rail in Franklin. It might really help Woonsocket to be better connected to the Boston market. In both cases the Boston area destinations generate high transit demand because of the cost and scarcity of parking, which seems to be needed for real city to work. I think it may be commonly underestimated how popular a route this could turn out to be. First, I’ve known quite a few folks that have had to turn down job opportunities in Fall River for lack of cheap options for getting there and back. I think it could be mutually beneficial for the two cities to share an affordable transit link and open each others job markets up a little bit. Second, Fall River is the western capitol of Portugal, and there are a lot of folks on this side of the boarder that would love to be able to take a quick bus ride over the bridge to dovsome shopping, eat out, or go to the festivals in the summer. I’m sure we’d probably get just as many interested parties in return, if not more, for shopping, food, etc. I may be a little biased about this, being portuguese and always having felt like the Reev belongs in Rhode Island more than Mass, but with that aside, I do think that there are some objective qualifiers for this. It would be especially prosperous if we ever ended up getting that damn soccer stadium. Westerly has a much later population than Tiverton, and Westerly is also a verifiable “destination” of culture like Tiverton. Much like Tiverton, it’s position on one of our borders with the vast majority of traffic coming from across state lines makes it somewhat counter-intuitive to advocate for fixed bus service. Like Tiverton, southeastern Connecticut’s regional bus authority comes close to – but doesn’t cross – the border into Westerly. 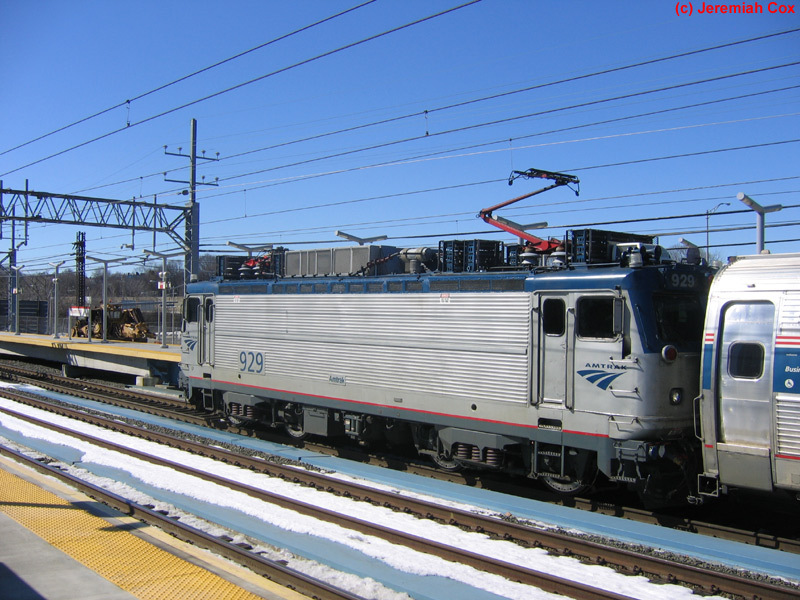 Unlike Tiverton, however, Westerly already sees intercity rail service through Amtrak, and a commuter rail extension of the Shore Line East to Westerly does not require brand-new infrastructure. Unlike Tiverton, a fixed bus route for Westerly could thrive even if it remained entirely within the borders of Rhode Island – no half-mile turnaround to link up with out-of-state buses required. Where I’m confused is how proposing fixed bus services for Westerly is panned by the community at large, but a half-baked scheme to create a new bus route in an area of similar or lesser density on the other end of the state – one that needs a federal waiver simply to exist – sees lukewarm support? Maybe my provincialism as a lifelong resident of South County is showing. I don’t know. But if you ask me, Senators Ottiano and Felag as well as Representatives Edwards and Canario should be petitioning for an extension of SRTA service into Taunton instead of a brand-new RIPTA route. Most of the traffic will be going into Fall River, anyway – in fact, now that I think of it, where are Fall River’s elected officials in all of this? Why haven’t we heard from them? That’s not a trick question, by the way. I’m genuinely confused as to why they wouldn’t even put out a “we’re not opposed to this” release. Yes, your provincialism is showing. Not everything that is done in southern New England has to wait for you to get your magic bus to Westerly. No, but I think that it’s a pretty apt comparison for a magic bus from Tiverton to Fall River. If we agree that the priority ought to be straightening out the bus system and making it usable and effective for the greater urban core in Providence and its surrounding communities, great, then let’s do that. But let’s at least have a consistent message that the needs of the network in Providence, Pawtucket, Cranston, and Woonsocket and the needs of the communities that rely most heavily on public transportion come ahead of the need of outlying provincial communities whose key travel patterns all point pretty firmly out of the state, if that’s how we’re going to approach this. And if we’re going to say that the key beneficiaries of state-border-crossing bus routes are going to be the communities on the other side of the state line, then I don’t think it’s too much of a stretch to ask why the people calling for these bus routes aren’t petitioning the regional provider of the other state in question, and why there’s absolutely no reaction either way from the other state in question? 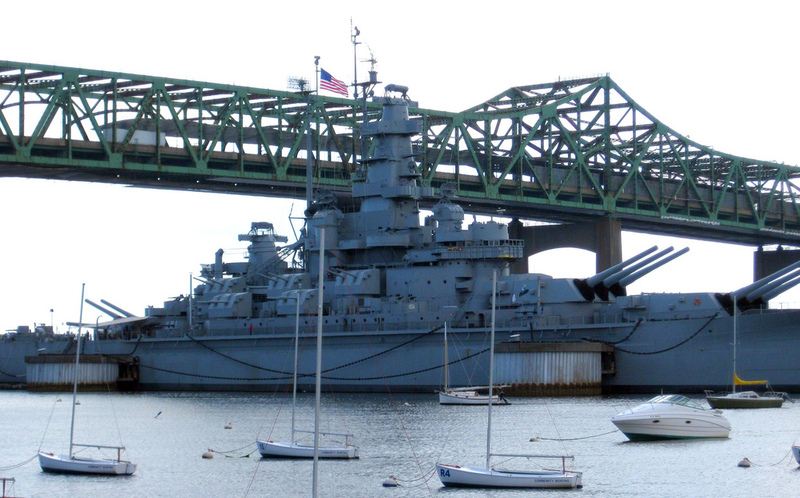 Alternatively, if we want to use this as a stepping stone to greater regional connectivity that ignores state lines, then that’s absolutely a laudable goal worth pursuing – but we should pursue it on a comprehensive level, enforcing interstate connections between Downtown Woonsocket and Franklin, between Tiverton and Fall River, and between Westerly and Mystic. Call me provincial for suggesting Westerly is maybe just a bit more important to the state than Tiverton is – but don’t write off my entire argument, which is that we should either support all of those connections, or none of those connections. North Tiverton and Westerly are two entirely different towns. North Tiverton is contiguous with Fall River with a large, dense, lower income, transit dependent population that is currently underserved. Westerly is contiguous with nothing, is a largely middle-class and upper middle-class community, with a tourism based economy and a population that on the whole, currently seems perfectly happy to be living their auto-oriented lifestyles. Connecting North Tiverton to Fall River is not going to solely benefit a community in another state, it is going to benefit the Rhode Islanders in North Tiverton, giving them the ability to reach jobs, shopping, health care, and more in the community they but up against which happens to be in another state. Going further, establishing a connection to another bus service (be it RIPTA or some other service) between Fall River and Providence would enable greater knitting together of our metropolitan area. Fall River sits near the geographic center of our metro area, Westerly hangs on the extreme far edge of it. Wait, did you really just say “all or nothing?” We’re gonna hold our breath and stomp our feet, and if we don’t get everything we want we should take all our toys and go home? Westerly is contiguous with Pawcatuck and through it a part of New London County, although I will grant you that doesn’t really count. More importantly, you know where else is predominantly middle- and upper-middle-class residences that are largely content to drive their cars? Barrington. Yet, any serious attempts at connecting Providence and Tiverton by bus are going to have to go through there – taking the long way around on I-195 is not a good option for effective transit. I’m saying we should be consistent in our message. If we’re going to support running RIPTA across state lines, then that should extend to everywhere running across state lines makes sense. Conversely, if we’re going to say “it should be on the impetus of the out-of-state communities to which most of the traffic is likely oriented around to extend into our state rather than the other way around,” then that’s what we should be calling for. If we can only get one of the three interstate connections up and running, then – well, I’m not going to be happy about it, but I’ll accept that. But that doesn’t mean we shouldn’t be pushing for all of them, or that we shouldn’t bother to put together a comprehensive state-wide plan even if you’re right and the only part of that plan that ends up acted upon is the Tiverton – Fall River Bus. The South Main Street and Bay Street bus routes, the two candidates for a link up with our RIPTA bus, already come quite close to the State Line. It’d be an easier change to implement if the South Main bus route was extended roughly three and a half miles past its current end point, running through most of Tiverton along Main Road before turning around in the vicinity of Route 24. It’s more distance to get from Bay Street to Main Road, but that’s also a fine candidate for a SRTA route extension into Rhode Island. This has the added bonus of providing a single-seat ride straight into the center of Fall River, rather than introducing a connection. Why not advocate for that change, instead? The Rode Island Public Transit Authority, Greater Attleboro-Taunton & Southeastern Regional Transit Authorities should look into having Commuter Bus Rapid Transit Service between Providence & Taunton as well as between Providence & Fall River. There should be Ferry Service to TF Green Airport from Bristol & Newport via Hog & Prudence Islands jointly managed by the Rhode Island Department of Transportation, Public Transit Authority & Airport Corporation at TF Green Airport & operated by the Interstate Navigation-Block Island Ferry. In addition ferry service between Fall River & TF Green Airport jointly managed & operated by the Southeastern Regional Transit Authority, Rhode Island Airport Corporation at TF Green Airport & Interstate Navigation-Block Island Ferry. First there should be a Joint Rhode Island-Massachusetts agency that oversees Mass Transit Operations between the Providence, Pawtucket & Warwick Metropolitan & Bristol County Massachusetts, which the Southern Massachusetts side of the Providence, Pawtucket & Warwick Metropolitan Area. The agency should be called the Metropolitan Rhode Island & Bristol County Massachusetts District commission Transportation Services. Second, Instead of a commuter bus rapid transit service, The Metropolitan Rhode Island & Bristol County Massachusetts District Commission-Transportation Services, along with the Rhode Island & Massachusetts Departments of Transportation, Rhode Island Public Transit Authority, Greater Attleboro & Taunton Regional Transit Authority, Southeastern Regional Transit Authority & Providence & Worcester Railroad could develop an electrified commuter rail line similar to my suggested Rhode Island Department of Transportation, Public Transit Authority & Providence & Worcester Railroad “Rhode Island Railway Trans-State & Trans-Metro Commuter Rail-Rapid Transit.” The service would be called the “Metropolitan Providence & Bristol County Massachusetts Railway-Trans-Bristol County Commuter Railway-Rapid Transit” between Taunton Attleboro Pawtucket Providence Cranston & by a subway tunnel under the Providence River in Cranston & Pawtuxet Village to East Providence & Seekonk, then down the median strip of I195 between Seekonk Swansea & Ocean Grove then back into a subway tunnel under Mount Hope Bay & Taunton River between Fall River & Westport then above ground between Westport, Dartmouth & New Bedford. Note: The line between Cranston Pawtuxet Village East Providence Seekonk, Swansea Fall River & Westport will be called the East Providence-Fall River Subway. The line will also use the Denver-type Silverliner V Electric Railcars https://a.spirited.media/wp-content/uploads/sites/2/2016/07/rtd-denver-silverliner-01-1024×576.jpg, which will also be equipped with third rail shoes for the Providence-Fall River Subway. Fourth, Ferry Service between Fall River & TF Green Airport at Rocky Point managed by the Metropolitan Rhode Island & Bristol County Massachusetts District Commission-Transportation Services along with the Rhode Island & Massachusetts Departments of Transportation Rhode Island Airport Corporation, Southeastern Regional Transit Authority & operated by Interstate Navigation (aka Block Island Ferry) as part of the Narragansett Bay Commuter Ferry. An independent electric commuter rail-rapid transit line called the Metropolitan Providence & Bristol County Massachusetts Railway Trans-Bristol County Line between Taunton, Attleboro Pawtucket, Providence & Cranston, two subway lines between Cranston , under the Providence River, East Providence, Seekonk & Somerset under the Taunton River Fall River with a rail line between the two subway sections down the medium strip of I-195 between Seekonk & Swansea. Then above ground along a rail line between Westport, Dartmouth & New Bedford, operated by the Providence & Worcester Railroad. Airport Commuter Ferry between Fall River & Rocky Point.-Warwick as part of my suggested Narragansett Bay Commuter Ferry. Electrified MBTA Commuter Rail Line between Boston Pawtucket Providence TF Green Airport & Wickford Junction. I do not see a need of merging the Rhode Island Public Transit Authority & Southeastern Regional Transit Authority into the Providence Metro Transportation Authority, but create a district to oversee commuter rail & ferry operations between Rhode Island & Southeastern Massachusetts & entire Providence Metropolitan in the whole. This district would be part of the Federal Waiver to allow RIPTA to operate in Southern Massachusetts in directly. Please respond & continue the conversation about the waiver. My final suggested is calling the service between Metropolitan Providence, TF Green Airport & Bristol County-Southern Massachusetts the Metropolitan Providence, TF Green Airport & Southern Massachusetts Commuter Rail & Ferry Authority.